The color in this 0.62 ct. tw. Natural Fancy Deep Brown-Orange SI2 Round Pair is a satisfyingly rich and warm orange evenly blended with brown. There is a distinct autumnal feel when gazing into the beautiful faceting of these diamonds. They have a very rare and extremely desirable Deep intensity that gives them their strong deep color. They boast fantastic brilliance and are full of life. 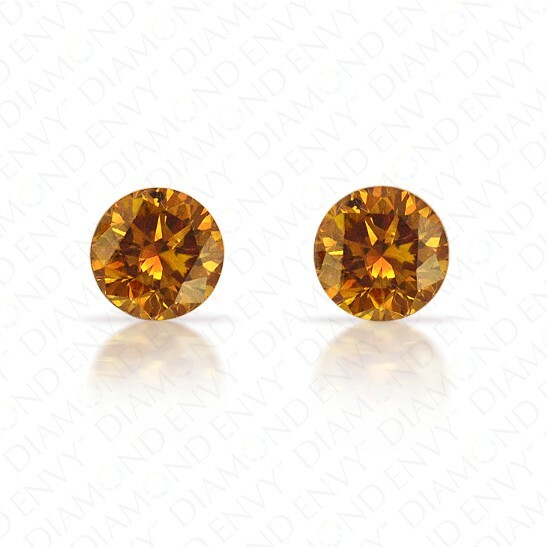 These dark brown-orange diamonds would look sophisticated and polished as a pair of studs. House-graded.